Although I suppose they could be the Golden Eagles, I think Bald Eagle plumage translates better into a uniform. 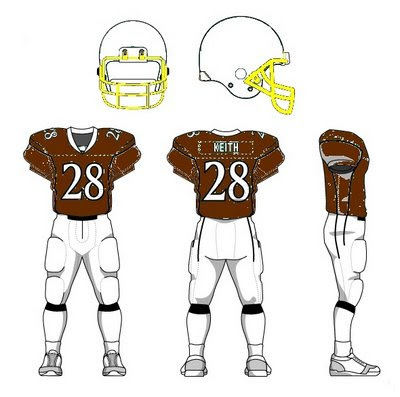 It's pretty simple: A white helmet with a yellow facemask paired with a brown and white jersey. I think it actually looks pretty good: it's dignified but still intimidating. If I were on the team, I'd wear red gloves to mimic a pair of blood-stained talons. The Thrashers have one of the worst logos in sports. I think it's because Brown Thrashers (the state bird of Georgia) are basically brown, buff and white and because they average sports fan is likely less familiar with Thrashers than, say, Cardinals or Eagles. Bullsnarky, I say. You designers just weren't being creative enough. 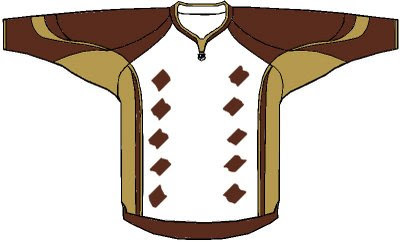 Work around a bit with those buff, brown and white colors and you've got yourself a pretty snappy little jersey. Toss a few brown spots down the sides to mimic the chest streaks of Brown Thrashers and you've done yourself a sartorial AND ornithological favor. 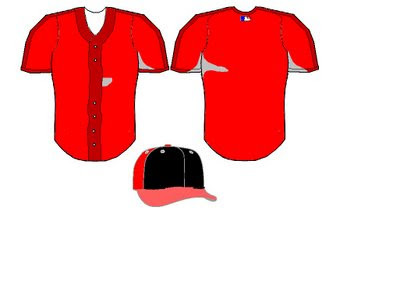 Okay so I didn't like the baseball template as much, but here are the three designs. 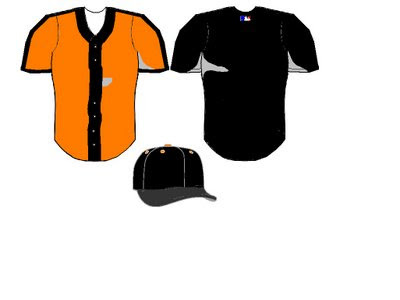 The Orioles and Blue Jays jerseys really aren't too much far from uniforms that the teams have worn in the past. 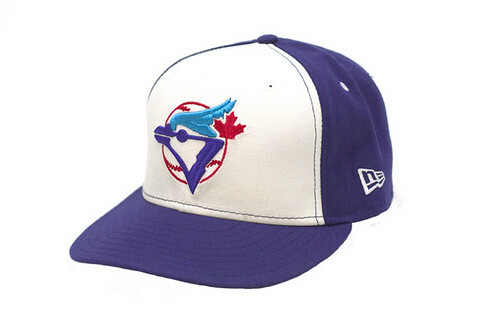 Baseball caps are good for bird-themed teams because you can use the bill to mimic the, well, bill. So, the Orioles now have a metallic-gray brim and the Cardinals have a pinkish brim. 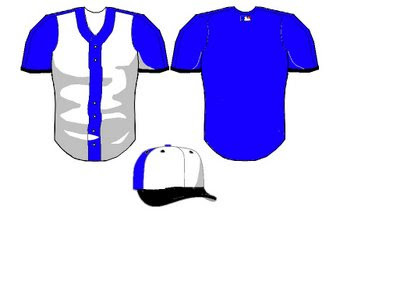 Okay well that's all for current teams, but stay tuned for Part 2 where I answer the age-old questions: What would the uniforms of the Carolina Chickadees look like? What about the California Condors? The American (Univ.) Oystercatchers? And more?! I love it! What a good idea for a post. As an Eagles fan, I'm not sure I would like the change from green to brown. Of course, the green they have now is pretty weird, and nothing like the traditional green. More eagle-like colors would be fun to see some time, though. The one thing I would change on the Eagles uniform would be to retain the wing on the helmet - either solid brown or outlined in brown - or put an image of a flying eagle on the sides of the helmet.